Do you have a documented plan that is guiding your decisions and steering you in the direction of the lifestyle and business you want to create for yourself? The sad reality is most business owners do not. Many have never even identified and written down their business goals and dreams. 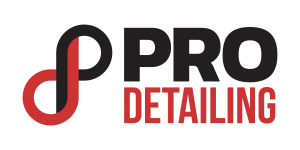 We have seen a countless number of detailers come up short on the level of success they are looking for. And the primary reason why is they do not have a vision for their business. Secondly, they do not know the path to follow that leads them there. Then we put together a SMART plan. Your business plan. The blueprint to help you achieve those business goals and dreams, using specific, measurable, achievable, realistic, time-bound action items. You won’t go through this alone either. We don’t just hand you a plan and say good luck. We hold you accountable to this plan, whether that’s through periodic check-ins, or regular coaching calls. You will succeed. And we make sure of it.